Target set suppliers an image deadline: What can you do to meet it? Target recently issued a June 30th deadline for its vendors to supply product images - with specific specifications to it’s FTP system. “Images past this date are considered late and may result in a delayed launch date on Target.com,” warned the retailer in its email to brands. 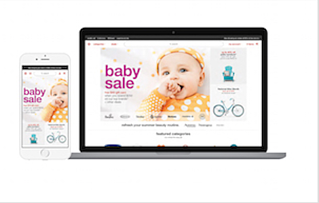 A delayed launch on the site could stall your sales or negatively impact product page traffic. If you received notice of this “August Revision” or think you might be affected it’s important to react quickly and do what you can to ensure your products make it to the retailer’s updated site. What Target is asking for? A minimum of one product image per TCIN must be submitted through Accellion and stored in your brand’s folder by June 30, 2016 to avoid penalty. Know the scope. Prioritize your efforts by understanding the biggest revenue drivers from Target.com. Understand how much of your product inventory is affected by the change and identify what needs to be done for each group. Lay a foundation for future requests. You need to have a product content management strategy beyond this hurdle. if you hope to create more visibility and transparency throughout the go-to-market timeline. Create a process, identify the people and put the right technology in place to control your brand images. Salsify Customers: We’re here to help! Within Salsify, you can identify the products in your list that may still need images. In addition, you can transform existing image size and rename images in order to meet Target’s new requirements. Please contact your Customer Champion with any specific questions along the way. We will continue to work with customers on their individual success in navigating this and other retailer requests. Why is Target asking for this information? We can only take our best guess. But here at Salsify, it’s no secret that using images as part of your product content information makes a huge difference when getting customers to select and purchase your product. 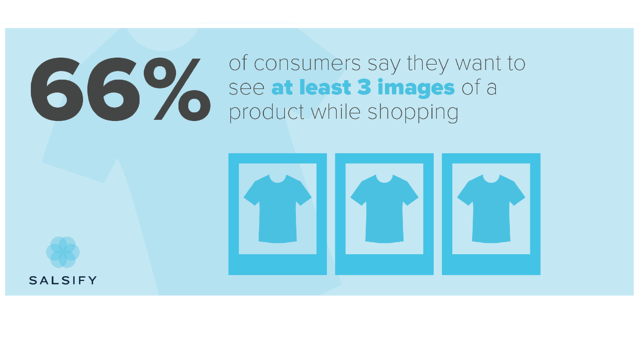 In fact, according to our recent research report, Cracking the Consumer Code: Product Content Drives Conversion, 66% of consumers want to see at least three images when shopping for a product to buy. More importantly, and perhaps why Target is turning to brands for content, is our research found that 75% of consumers said they prefer product images against a plain background or in use, rather than photos from customers who have bought the product. Brands should prioritize providing imagery that clearly shows the consumer what they are getting over leaving any of your retailers to source user-generated images. For more information about what product content is going to have an impact on your sales, download the full research study, Cracking the Consumer Code: Product Content Drives Conversion.